A Bully’s Journal – Book No. 2 From the Series Kids Have Ups & Downs Too! Pleased to announce two books are now available on Amazon and B&N. Throughout the series kids will be inspired to consider that no matter what is happening at home, in their neighborhood, or with their friends they have what it takes to make good choices. Learn from mistakes they don’t have to be your own. Be The Buddy! My books can you do just that! Have a Romans 15:13 day! In 1982 I became a Certified Footbag Instructor with the World Footbag Association (WFA) where I learned that Hacky Sack is a brand name but the sport is footbag – many kickers still call it “Hacky” but regardless it remains to this day a fun activity. 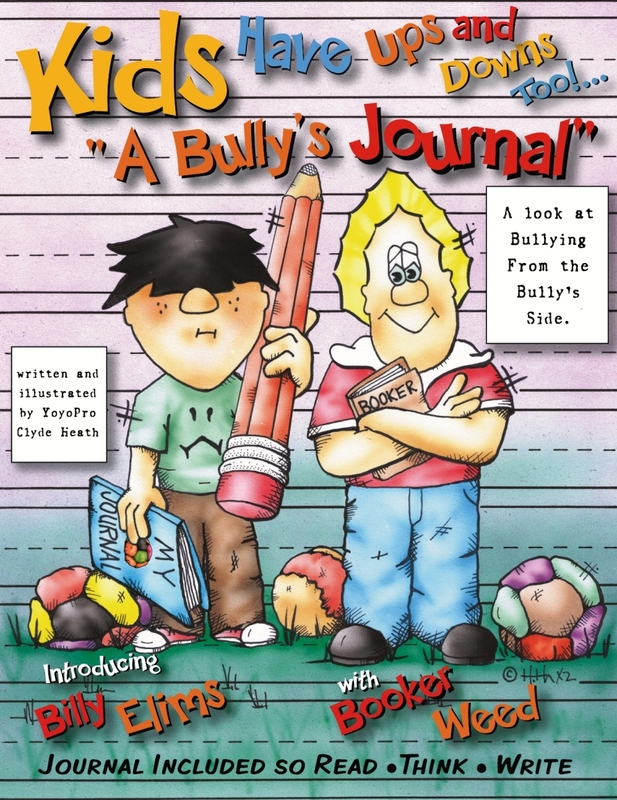 “A Bully’s #Journal”, my next kid’s book in the series #Kids Have Ups and Downs Too, will feature footbag in one of the chapters. Booker Weed will befriend the school bully by inviting him to join him. Soon Billy will learn that finding something he could become good at will help him to fit in and get along with others and finally become a buddy not a bully. in one of the chapters. Booker Weed will invite Billy, the school bully, to kick with him. One thing will lead to another and soon Billy will learn what it’s like to be a buddy not a #bully. “Kids Have Ups and Downs Too! 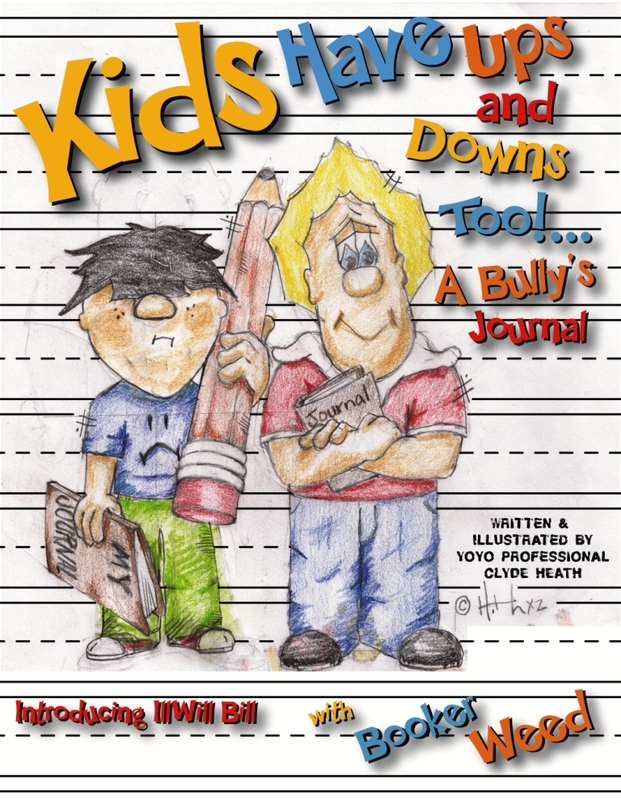 … A Bully’s Journal” will be out this Spring and takes a look at bulying from the bully’s perspective. Follow Booker Weed as he befriends Ill-Will Bill – Please stay tuned … THX! 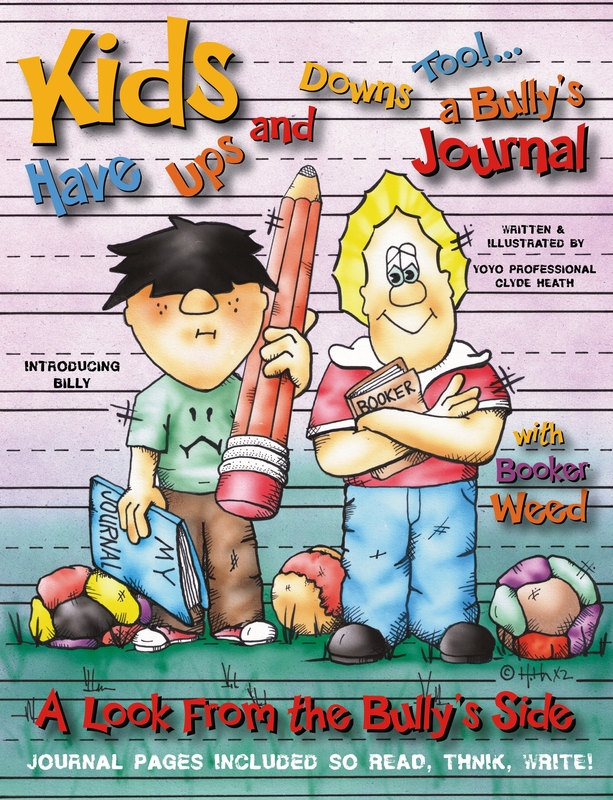 For all the latest news on Booker Weed the star of the series of kids books entitled, “Kids Have Ups and Downs Too!” from author, international speaker, and yoyo professional Clyde Heath. Clyde has encouraged more than 1.3 million kids worldwide in places like England, Australia, New Zealand, Canada, throughout the U.S. and even performed at the White House in Washington, D.C.